Thailand is not only known for temples or shopping haven but they are also popular with their scrumptious dishes. In fact, my husband loves Thai dishes so before going to Bangkok, I listed the foods that I want to try. My list was not that long since I’m not fond of spicy dishes but Khaoniao Mamuang aka glutinous sticky rice + mango or simply mango sticky rice is on top of my list. Since I live in the Philippines, sticky rice and mango are very common so I’m really curious what is the difference of mango and sticky rice between Thailand and Philippines. So I promised myself that I won’t leave Bangkok without trying this dessert. On our first day in Bangkok, I wanted to eat mango sticky rice immediately but I have to control myself because we will be having a Chao Phraya Dinner River Cruise. Unfortunately, there is no mango sticky rice in their buffet spread. The following day, after our trip to SEA Life Bangkok Ocean World, we’re lazy to go out anymore. We have Mcdo Chicken Meals in our room but I pushed myself to go to Terminal 21 just to eat mango sticky rice. My husband recommended The Terrace Restaurant since he already dined there and he also liked the mango sticky rice dessert. The Terrace Restaurant has been in the business since 1975. 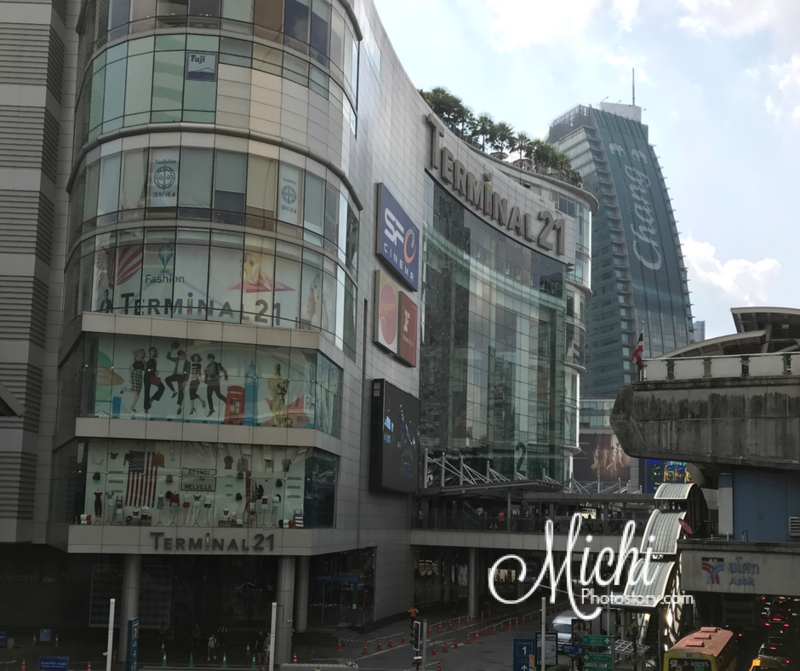 It is a casual Thai restaurant that serves a variety of Thai dishes and few Non-Thai dishes. 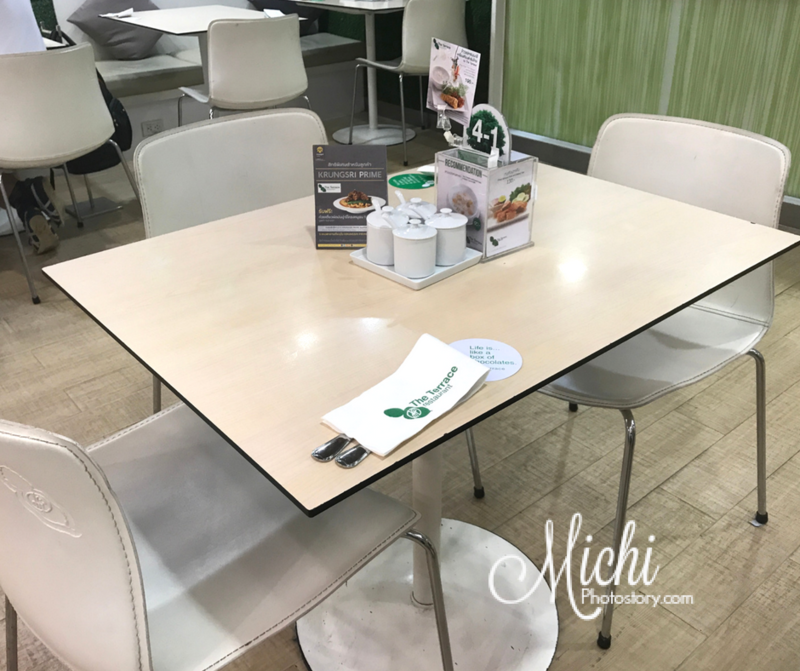 The interiors of the restaurant are simple and there is a nature or greenery vibe because of the white and green color. Upon seated, the staff handed us the menu and we immediately ordered Ripe Mango with Sticky Rice THB155, Mango Crepe with Coconut Ice Cream THB95, Iced Tea THB45 and Bottled Water THB20 + Service Charge. The presentation looks nice. There is one slice of mango, colorful sticky rice, coconut cream, and peanuts. I thought that the serving is not enough but it is already filling. I can’t even finish my plate. The mango is sweet but I prefer our Philippines mango, there is a difference in the shape and texture. The sticky rice is good, there is a combination of taste, I’m not sure if there is salt in it but it is not overly sweet. I like the combination of mango, sticky rice, and peanut. Now I know why a lot of people are craving for Thailand Mango Sticky Rice, it is addicting. My son is not really into rice desserts so he just ate the ice cream. Waah! I thought the crepe is just mango crepe, but I was wrong. 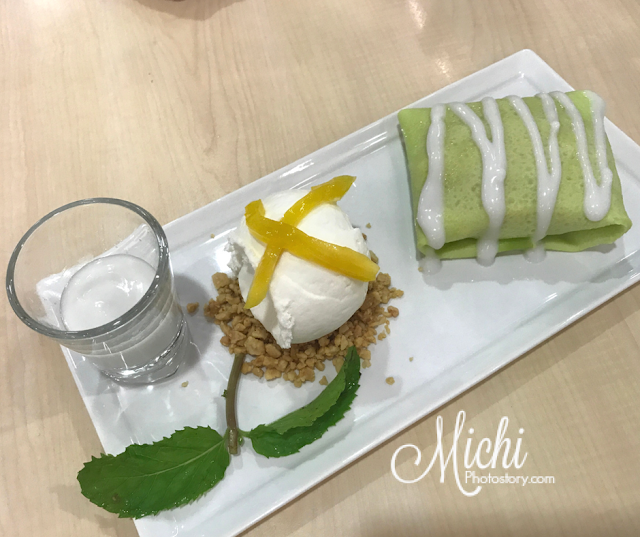 There is sticky rice inside the crepe, woah! Kung alam ko lang na may sticky rice yung loob nun, yun na lang din inorder ko, mas mura pa THB95 compared sa THB155 na order ko, wala pa ice cream and jackfruit. The Iced Tea is just okay. We are satisfied with our order but I know that I can still find a cheaper version of mango sticky rice. 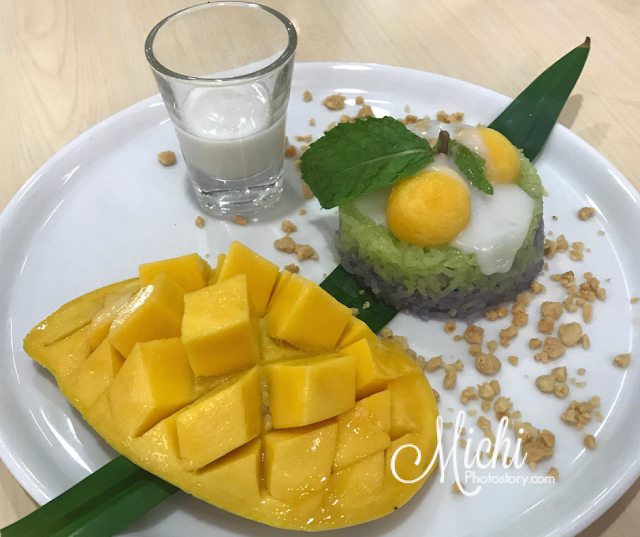 Don’t forget to try the mango sticky rice if you visit Thailand. Since Bangkok is far, I will just eat Sikreto ni Maria here in the Philippines. I love mangoes so I will eat anything with mango in it. These desserts look really yummy ha. But I agree, kakaiba talaga mangoes sa Pilipinas.